Please be informed that this contract sets forth the rights and obligations that are applicable to the use of our website. Please be advised that by using our website and by purchasing our product/s and/or services, you are bound to these Terms and Conditions. The information presented in this website is intended for the residents of Australia only. These Terms and Conditions, also referred to as “Agreement”, “Notice” and “Contract”, is a legally binding agreement made by and between Visual Marketing Australia Pty Ltd and you, the “Client”, with regards to the use of the products and services presented in this website. In these terms and conditions, “we” “us” and “our” refers to Visual Marketing Australia Pty Ltd. and its subsidiaries. “Service”, in these terms and conditions, pertains to the Internet marketing services, features, functions and promotions including email marketing plus web hosting and domain name sales that are provided by Visual Marketing Australia Pty Ltd. for its clients. We reserve the right to amend this Notice at any time. This Agreement supersedes the previous statement/s and agreement/s made by and between Visual Marketing Australia Pty Ltd. and its clients. In the case that amendments for these Terms and Conditions are deemed necessary, the amended Agreement will become fully effective as soon as they are posted on Visual Marketing Australia’s website, given also that the client continues to use the website, its services and/or products incorporated with it. Under no circumstance shall Visual Marketing Australia Pty Ltd. be liable for indirect loss and expense, including loss of profit, suffered by the client in the event of any breach of these terms and conditions by Visual Marketing Australia. If by any case a breach of these terms and conditions were made by Visual Marketing Australia, the remedies, under no circumstance, shall be more than the price of the services. All prices are in Australian Dollars (AUD) and are inclusive of Goods and Services Tax (GST). We endeavor to ensure that our price list is current. Our price list can be accessed from our home page and we reserve the right to amend our prices at any time. If you have placed an order, we undertake to fulfill your order at the price listed at the time you ordered. We strive to ensure that our products and services are described as accurately as possible on our website. However, we do not warrant that the description is accurate. Where we become aware of any misdescription, we reserve the right to correct any error or omission. Images have been provided for illustrative purposes only and we do not guarantee that any image will reproduce in true color, or that any given image will reflect or portray the full design or options relating to that product. We supply and dispatch our products & services to customers within Australia only. We endeavor to ensure that our products & services list is current. However, we give no undertaking as to the availability of any product advertised on our website. All prices are in Australian Dollars (AUD) and are inclusive of Goods and Services Tax (GST). Our price list can be accessed from our Home Page and we reserve the right to amend our prices at any time. If you have placed an order, we undertake to fulfill your order at the price listed at the time you ordered. If applicable, packaging and postage entails an additional charge, calculated at the time of purchase. When you order from us, we require you to provide your name, address for delivery, your email address, telephone contact and credit card details. We undertake to take due care with this information. However, in providing us with such information, you accept that we are not liable for its misuse due to error in transmission, virus or malware. We undertake to accept or reject your order within 3 days. If we have not responded to you within 3 days, your offer is deemed to be rejected. We are not required to give reasons for rejecting your offer to purchase. However, the most likely reason for rejecting your offer will be that we do not currently have that product in stock. Delivery of your ordered product/s will be as set out on our website. Title in the goods passes to you when we have received payment. Our terms of payment are set out on the order page &/or Booking Agreement. All risk of loss or damage to the goods will be passed to you after we dispatch the goods. Every deliver date stated by Visual Marketing Australia Pty Ltd. is an estimation only. In line with this, we shall not be liable for any loss or damages suffered by the Client caused by the delay or postponement of the delivery of Services. Should we seek further instructions from you in relation to the provision and/or delivery of our products and/or services and such instruction is not sent within 90 days, this should result in the stalling of the project as ordered. In case this event arises, the delivery of the services and/or products will be deemed to have been completed, in which Visual Marketing Australia shall be entitled to the full payment that the client owes. We undertake to reimburse you for any product delivered to you that is faulty or is in a defective condition. If you wish to return a faulty or damaged product, you must notify us through our designated “contact us” webpage where we set out our requirements relating to return of such goods. Returns of the product, including any related accessories and documentation, shall be allowed within 14 days from the date of purchase (or 60 days if sent as a gift) provided that the product you would like to return (including any included accessories and peripherals) is in its original packaging and undamaged condition. If we are unable at the time of return to replace or exchange returned goods, we undertake to reimburse your credit card for the amount initially debited for the purchase, including packaging and postage charges. Except as permitted under the Copyright Act 1968 (Cth), you are not permitted to copy, reproduce, modify, transmit, reuse, repost, republish, distribute or display any of the information on this website without our prior written permission. Visual Marketing Australia will pursue and prosecute to the fullest extent of the law any individual or group, who attempts use this website other than personal use. Client warrants that all material he/she posted in this website shall not contain postings that are indecent, fraudulent and defamatory to any person or group. We reserve the right to monitor all postings in our website and to delete any material that may be offensive or in breach of this Contract. This website may from time to time contain hyperlinks to other websites. Such links are provided for convenience only and we take no responsibility for the content and maintenance of or privacy compliance by any linked website. Any hyperlink on our website to another website does not imply our endorsement, support, or sponsorship of the operator of that website nor of the information and/or products which they provide. We suggest that you inquire directly regarding the third parties’ products and services. Linking our website is not permitted without our consent. We reserve the right to serve you with notice if we become aware of such linking. The copyright to all content on this website including, without limitation, applets, design, software, trademarks, graphics, images, layouts, databases, HTML codes, text and other intellectual properties belong to us or we have a license to use those materials. All trademarks, brands and logos generally identified either with the symbols TM or ® which are used on this website are either owned by us or we have a license to use them. Your access to our website does not license you to use those marks in any commercial way without our prior written permission. Any comment, feedback, idea or suggestion (called “Comments”), which you provide to us through this website becomes our property. If in future, we reserve the right to use your Comments in promoting our website or in any other way, we will not be liable for any similarities which may appear from such use. Furthermore, you agree that we are entitled to use your Comments for any commercial or non-commercial purpose without compensation to you or to any other person who has transmitted your Comments. 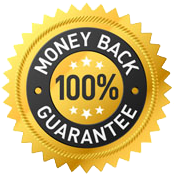 We also take all due care in ensuring that our website is free of any virus, worm, Trojan horse and/or malware. However, we are not responsible for any damage to your computer system which arises in connection with your use of our website or any linked website. From time to time, we may host third party content on our website such as advertisements and endorsements belonging to other traders. Responsibility for the content of such material rests with the owners of that material and we are not responsible for any errors or omissions in such material. If a Force Majeure event causing delay continues for more than 28, we may terminate this Agreement by giving at least 7 Notice to you. “Force Majeure” pertains to any act, circumstance or omission over which we could not reasonably have exercised control, including acts of God, epidemics, war, terrorism, strike, civil insurrection, riot , power outages, lockout, industrial action, or any other disaster. These terms and conditions are to be governed by and construed in accordance with the laws of Queensland and any claim made by either party against the other, which in any way arises out of these terms and conditions will be heard in Queensland and you agree to submit to the jurisdiction of those Courts. If any provision in these terms and conditions is invalid under any law, the provision will be limited, narrowed, construed or altered as necessary to render it valid, but only to the extent necessary to achieve such validity. If necessary, the invalid provision will be deleted from these terms and conditions and the remaining provisions will remain in full force and effect. This contract shall be effective until terminated by either party, which can be done at any given time. Destruction and/or deletion of all materials obtained from this website and all other websites under the ownership of Visual Marketing Australia Pty Ltd terminates your agreement with Visual Marketing Australia Pty Ltd. Visual Marketing Australia Pty Ltd. reserves the right to terminate or suspend this contract at any time and with or without prior notice to you, given that in its opinion, you have violated the terms and conditions presented in this website.